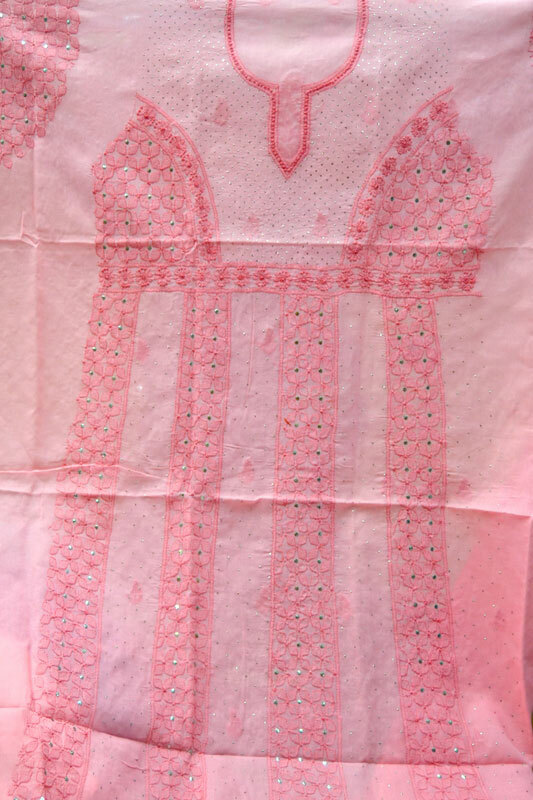 A cotton kurti with crochet border. 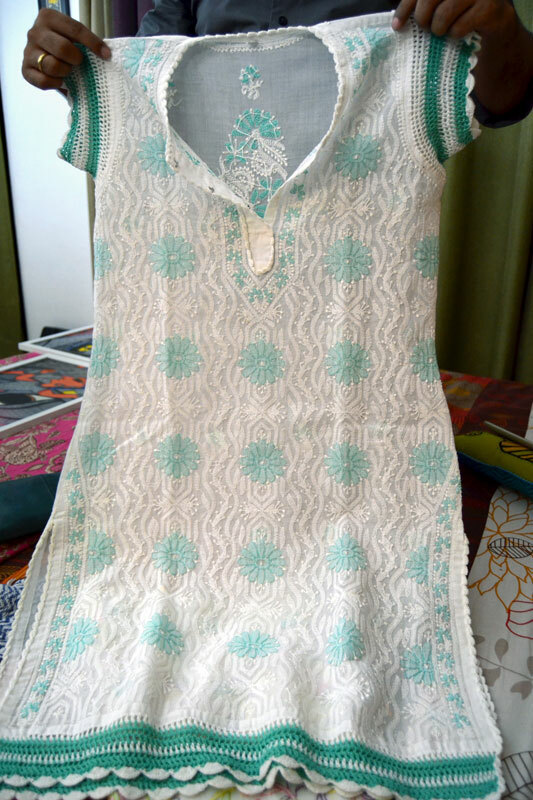 A cotton kurti with crochet border and sleeves. 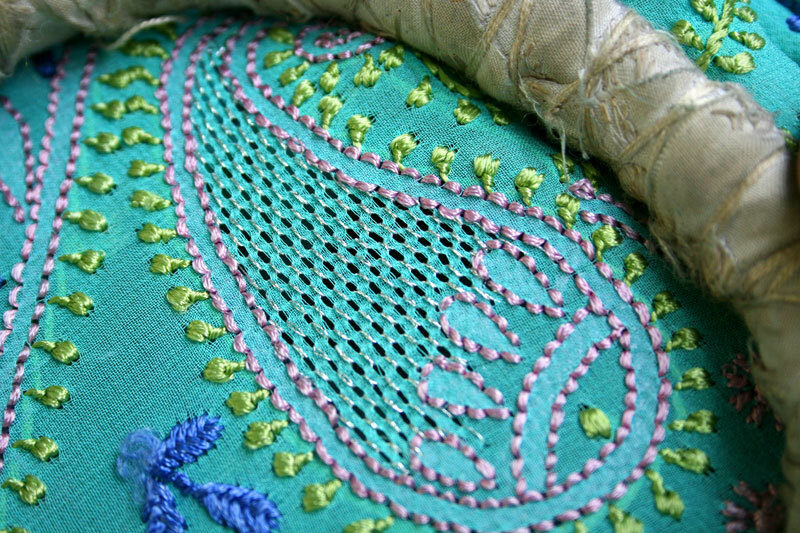 An unstitched cotton suit with mokaish. 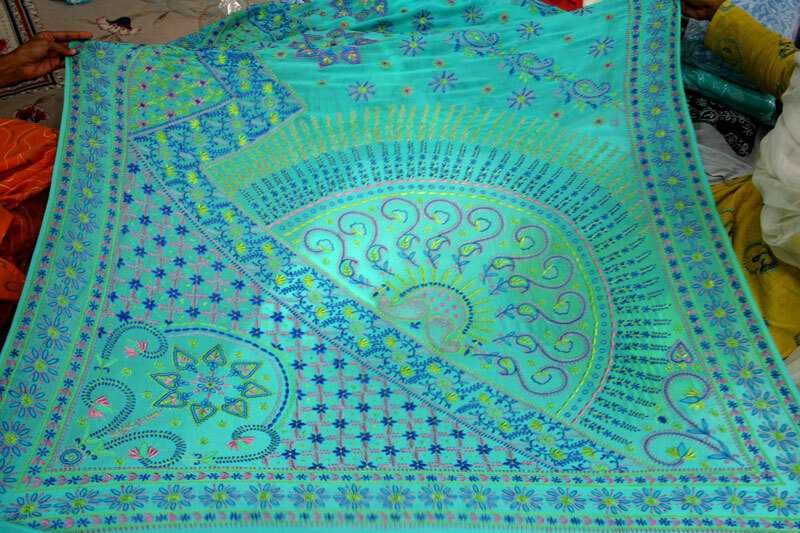 The stitches as seen on the back and front of a georgette saree. 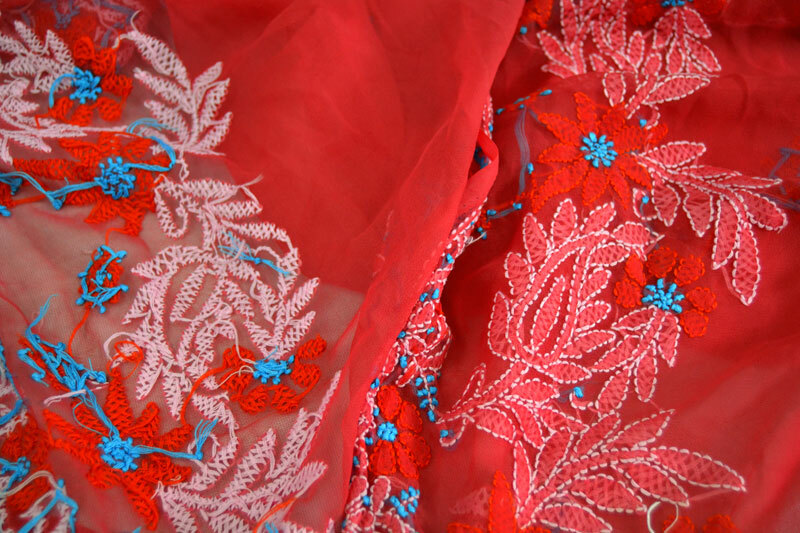 A georgette saree with multicolor thread embroidery. 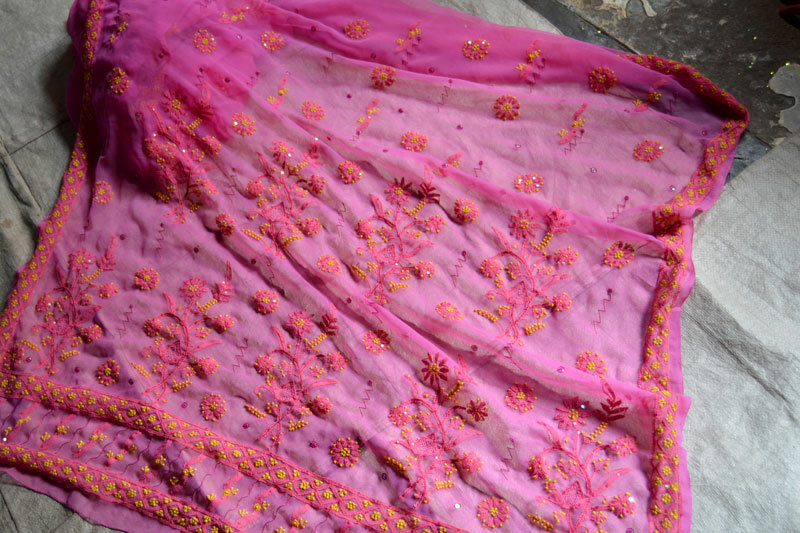 A georgette saree with sequin highlights. 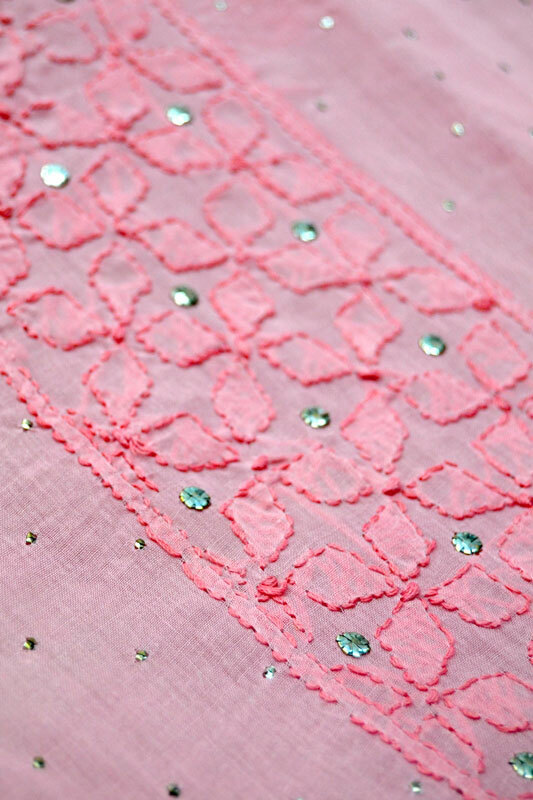 Chikankari is an ancient form of white floral embroidery, intricately worked with needle and raw thread on a variety of fabrics like cotton, muslin, silk, organza etc. 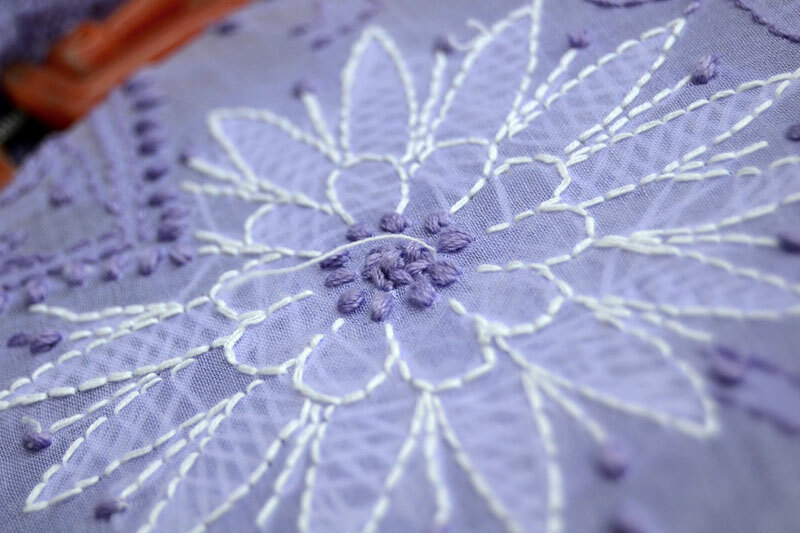 There are 36 types of stitches used in chikan work. 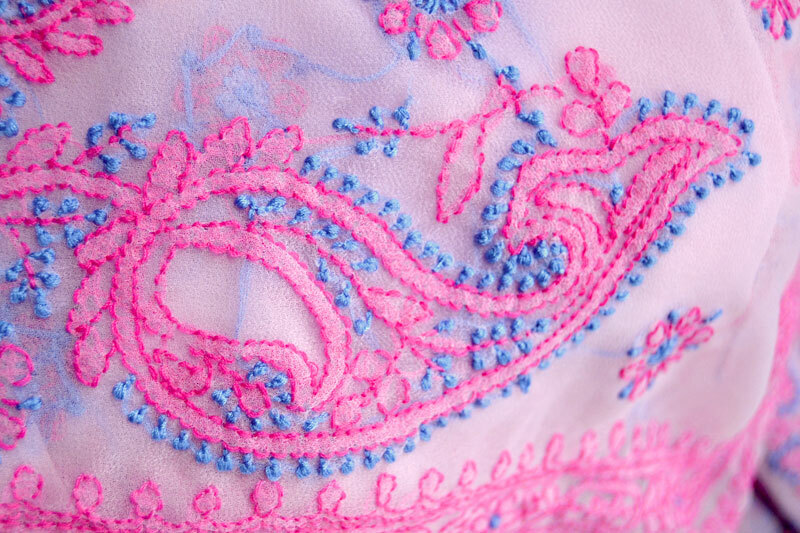 The word 'chikan’ is probably a derivative from the Persian word ‘chikin’ or 'chikeen' which means a kind of embroidered fabric. 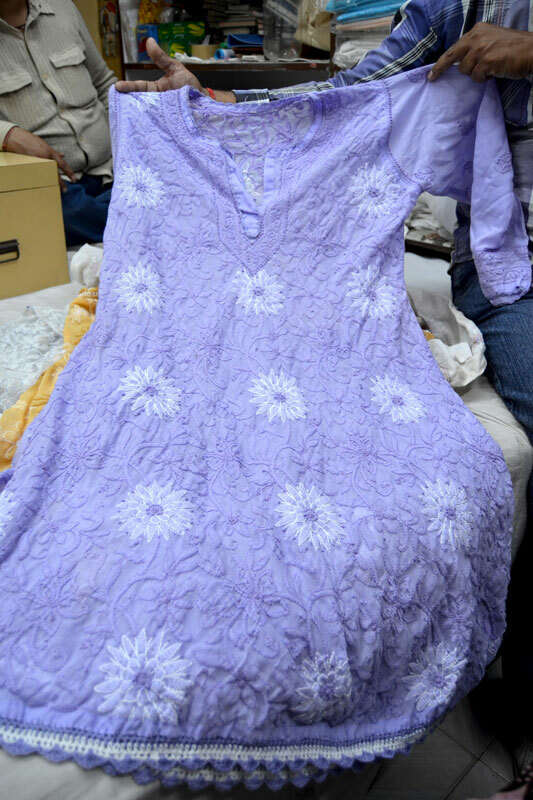 It is said to have been originally introduced by Noor Jehan, the beautiful wife of the Mughal emperor Jahangir. 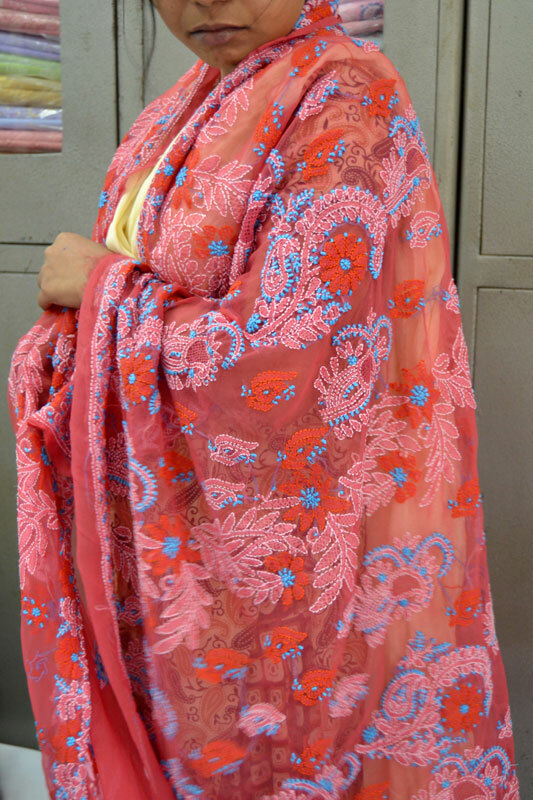 Since then it has evolved and attained its glory and perfection in Lucknow, the capital of Uttar Pradesh. Today it is a practiced tradition and an important commercial activity in the city and around. 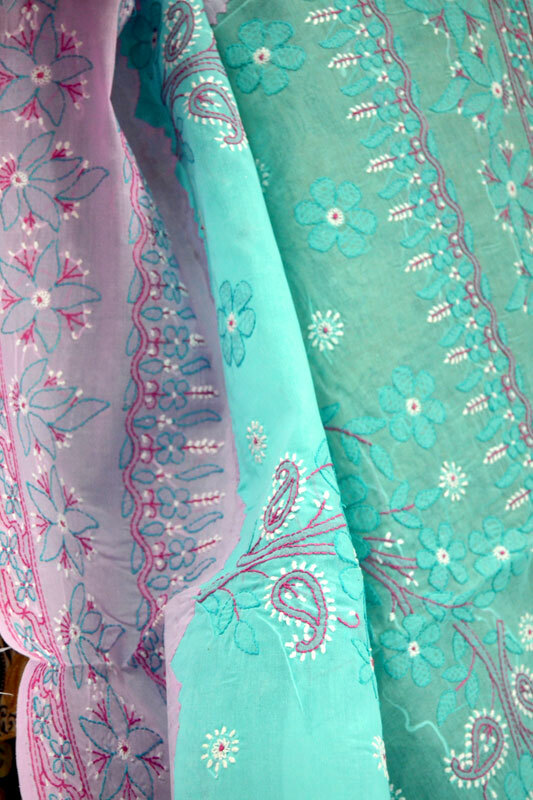 Chikan work is no more confined to traditional wear, but is a delight to wear and watch in almost all kinds of western wear like funky tops, designer kurtas, enticing skirts etc.